Are you tired of visiting the same old bars in Derby? Or are you just looking for a bar a little closer to home? Maybe you’re just passing through the area and want to find the perfect place for a well-earned pit stop? If any of these sounds like you, look no further than the Lodge Bar and Dining at Littleover Lodge! Trendy, stylish and home to an impressive drinks selection and dining options. The Lodge Bar could become one of your new favourite bars in Derby! 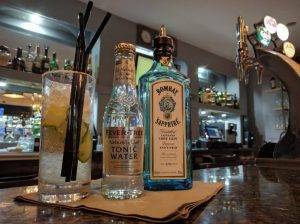 Serving a huge selection of soft, hot and alcoholic drinks buy some of the UK’sbest-loved brands. As well as a selection of premium cocktails mastered by our mixologists. 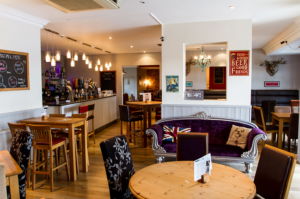 In addition to being home to a huge selection of drinks including beers, ciders, spirits, wines, cocktails and non-alcoholic hot and cold drinks, you can also enjoy a bite to eat from our freshly prepared Gastro menu and our children’s menu at our bars in Derby. Filled to bursting with traditional and modern dishes, our Gastro menu or pizza menu is prepared using locally sourced ingredients where possible and is perfect for a refuel after a busy day at work, a day of exploring the local area or for simply relaxing over the weekend! You can view our complete menu online here. Our pizza restaurants in Derbyshire is known for being the best in the area! In recent years the UK has seen a rise in the number of quality cocktail bars in Derby and the Littleover Lodge is among that list. With a flourishing atmosphere, our cocktail makes have shaken and stirred every combination to compile a menu that includes everything from classic cocktails to unique Lodge Bar specials. Our cocktail bar in Derby is the perfect place to meet friends for a refreshing tipple of your choice. Cocktails are perfect before dinner treat and the ideal start to a long overdue catch-up or night out. 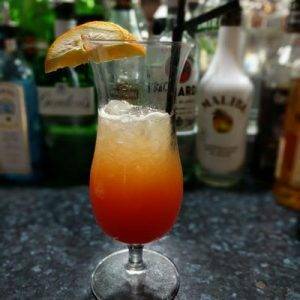 Our Derbyshire cocktail is fast becoming one of the most popular and renowned in the area. So, take a look at our menu here and come and see us for your next evening with family and friends. The Lodge Bar and Dining not only home to one of the leading cocktail bars in Derby but also enjoy a drink along with a 65”-inch TV showing Sky Sports, perfect for any big game or sporting event! The atmosphere is always friendly at our bars in Derby. No matter what time of day you visit us, you’re guaranteed a good time! When it comes to searching for bars in Derby, there really is no need to look elsewhere. The Lodge Bar & Dining is a pet-friendly and family friendly bar which guarantees you the warmest of welcomes. We serve food daily from 12pm until 9pm and we also provide free parking and Wi-Fi. Furthermore, if you have any questions about our bars in Derby, please get in touch!